To celebrate Black History Month 2018, (1/10/2018-31/10/2018) Urban Radar will be publishing a series of articles dedicated to a diverse range of black artists and their contributions to music, society and black culture. Kicking things off is the following piece on Ghanian Afro-pop artist Wiyaala and her unique brand of West African feminism. Wiyaala’s early life may not seem conducive to her feminist identity. She was born in the largely agricultural town of Wa in the Upper West Region of Ghana and spent her early childhood in a polygamous household, her mother one of four wives. She later moved to the town of Funsi with her mother and her four sisters, after her father ‘moved on’ and decided to marry more wives. Ghana was— and in many ways continues to be— a deeply patriarchal and traditional society. It is not uncommon for men to have multiple wives and mistresses. Women are expected to fulfill the traditional roles of child-rearing and housework and it is rare for them to pursue careers outside of the domestic sphere. As one might imagine, women are not generally encouraged to enter the music industry, and some sections of society (particularly those communities that put a high value on modesty) equate female music artists with prostitutes. 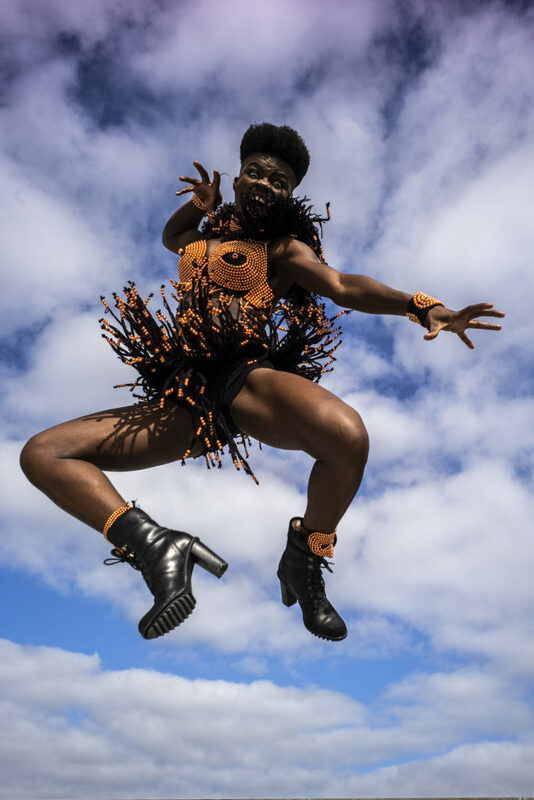 If it was not for her self-described educated mother and her own determination to follow her dreams, a very different fate could have awaited Wiyaala. She narrowly ‘dodged’ female genital mutilation, which was—and still is— a common cultural practice in Ghana at the time. She has also spoken about the prevalence of child marriage in her village in a 2014 interview with BBC World Service. For Wiyaala, this was not some abstract horror, it was part of the fabric of her society, a daily reality. She recalls how young girls would get pulled out of her classroom and frog-marched by their parents to become the bride to men twice their age. These experiences clearly continue to inform her activism, both inside and outside Ghana. It is often the case that women in Africa are hesitant to use the word ‘feminist’ to describe themselves. This is not a reflection of their own activist credentials or their work for women but more likely a result of the hostility towards the word in some parts of West African society. 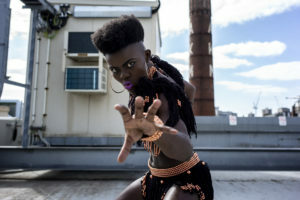 As Wiyaala has noted herself in a interview with africaontheblog.com: ‘Here in Ghana, we want to embrace change and modernisation. And it is happening fast. But that can conflict with some of our traditional views’. It is important for activists in the Europe and the US to recognise that western feminist causes can have the potential to alienate those born and raised in more traditional countries. Although the ultimate goal may be for women to have complete sexual freedom, it might be more prudent to start with trying to improve access to birth control. Wiyaala is acutely aware of the benefits of the softly, softly approach. Although she does identify as a feminist, she notes that she has not yet ‘made a big thing out of it’. Her focus is instead on acting as an advocate for women’s education, enabling them to be the ones to make the choices in their own lives. Moreover, her own colourful personality allows her to keep this message positive and thus more palatable. The result of her pragmatic approach means that she has the ability to use her prominent media platform, particularly in the North of Ghana, to talk about women’s rights issues. Without women like her, willing to discuss feminism in a manner that is more readily received by a society undergoing transition, such controversial views might not receive any airtime at all. This would only serve to inhibit the progress of women’s right into mainstream thought. Wiyaala’s activism is not just limited to playing an advocacy role in the media. She also works alongside UNICEF Ghana and the Ministry of Gender, Children and Social Protection of Ghana, campaigning with them against child marriage, child poverty, sanitation and health. She has also noted that while she is happy with her own interpretation of feminism at the moment, that she may have much more to say on the matter, speaking to her dedication to the cause. It’s hard to think of anyone more deserving of the title ‘Young Lioness of Africa’.